I wrote this list in 2007 to help publicize my book, Elephants on Acid: and Other Bizarre Experiments, by giving people online a sample of the kind of content it included. An adapted version of the list was later published in New Scientist magazine (Oct 31, 2007). 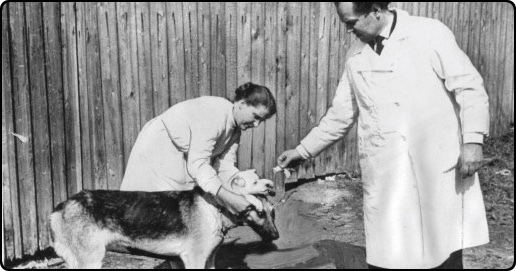 Are these really the most bizarre experiments of all time? Who knows. 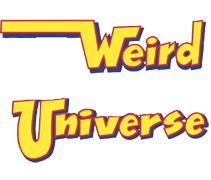 A more accurate title might be, "20 very bizarre experiments that in 2007 I thought were particularly good examples of the genre." But that's not as catchy. 297 milligrams is a lot of LSD. It's about 3000 times the level of a typical human dose. In fact, it remains the largest dose of LSD (that we know of) ever given to a living creature. The researchers figured that, if they were going to give an elephant LSD, they better not give him too little since they knew that elephants are highly resistant to many drugs. Thomas, West, and Pierce later explained that the experiment was designed to find out if LSD would induce musth in an elephant. Musth is a kind of temporary madness male elephants sometimes exhibit during which they become highly aggressive and secrete a sticky fluid from their temporal glands. But one suspects a small element of ghoulish curiosity might also have been involved. Whatever the reason for the experiment, it almost immediately went awry. Tusko reacted to the shot as if a bee had stung him. He trumpeted around his pen for a few minutes, and then keeled over on his side. Horrified, the researchers tried to revive him with antipsychotics, but about an hour later he was dead. The three scientists sheepishly concluded, "It appears that the elephant is highly sensitive to the effects of LSD." 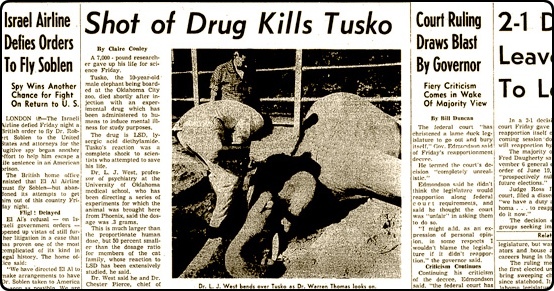 In the years that followed controversy lingered over whether it was the LSD that killed Tusko, or the antipsychotics used in the attempt to revive him. So twenty years later, Ronald Siegel of UCLA decided to settle the debate by giving two elephants a dose similar to what Tusko received. Reportedly he had to sign an agreement promising to replace the animals in the event of their deaths. 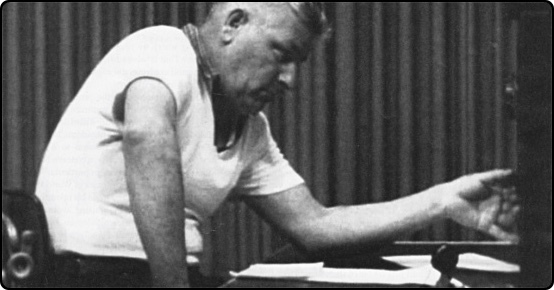 Milgram told subjects they were participating in an experiment to determine the effect of punishment on learning. One volunteer (who was, in reality, an actor in cahoots with Milgram) would attempt to memorize a series of word pairs. The other volunteer (the real subject) would read out the word pairs and give the learner an electric shock every time he got an answer wrong. The shocks increased in intensity by fifteen volts with each wrong answer. The experiment began. The learner eventually got some answers wrong, and then some more, and soon the shocks had reached 120 volts. At this point the learner started crying out, "Hey, this really hurts." At 150 volts the learner screamed in pain and demanded to be let out. Confused, most volunteers turned around and asked the researcher what they should do. The researcher always calmly replied, "The experiment requires that you continue." Milgram actually had no interest in the effect of punishment on learning. What he really wanted to see was how long people would keep pressing the shock button before they refused to participate in the increasingly sadistic experiment. Would they remain obedient to the authority of the researcher up to the point of killing someone? In 1954, James Olds and Peter Milner of McGill University discovered that the septal region is the feel-good center of the brain. 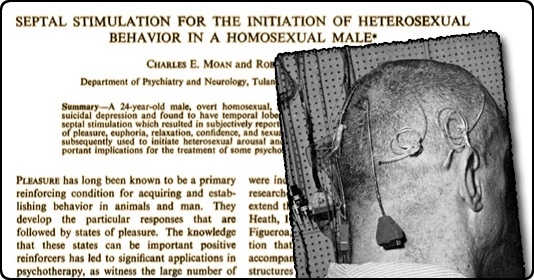 Electrical stimulation of it produces sensations of intense pleasure and sexual arousal. They demonstrated their discovery by inserting wires into a rat's brain and then showing that when the rat figured out it could self-stimulate itself by pressing a lever, it would maniacally bang on that lever up to two-thousand times an hour. Thankfully his efforts weren't successful. This was due both to genetics, and to the native staff of the West Guinea research facility where he worked, from whom he constantly had to conceal the true purpose of his experiments. If they had found out what he was really doing, he wrote in his diary, "this could have led to very unpleasant consequences." 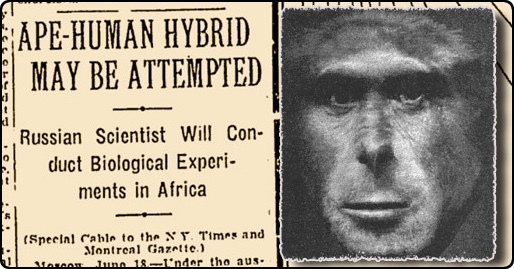 The necessity of carrying out his work in secrecy made it almost impossible to do anything, although he did record two unsuccessful attempts to artificially inseminate female chimpanzees with human sperm. Frustrated, Ivanov eventually returned to the Soviet Union. He brought an orangutan named Tarzan back with him, hoping to continue his research in a more accepting environment. Back home he advertised for female volunteers willing to carry Tarzan's child, and remarkably he got a few takers. But then Tarzan died and Ivanov himself, suspected of harboring counter-revolutionary sentiments, was sent off to a prison camp for a couple of years. This ended his research. There are vague rumors suggesting that other Soviet scientists continued Ivanov's work, but nothing has been proven. Why are prisons are such violent places? Is it because of the character of their inhabitants, or is it due to the corrosive effect of the power structure of the prisons themselves? 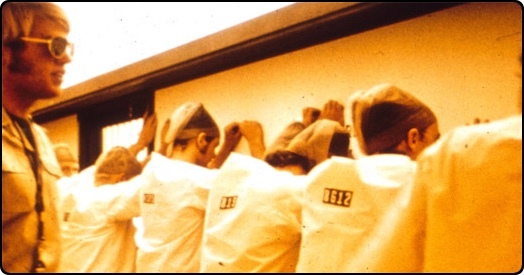 Determined to find an answer, Philip Zimbardo created a mock prison in the basement of the Stanford psychology department. He recruited clean-cut young men as volunteers  — none had criminal records and all rated "normal" on psychological tests  — and he randomly assigned half of them to play the role of prisoners and the other half to play guards. His plan was that he would step back for two weeks and observe how these model citizens interacted with each other in their new roles. Zimbardo called a meeting the next morning and told everyone they could go home. The remaining prisoners were relieved, but tellingly, the guards were upset. They had been enjoying their new-found power and had no desire to give it up. 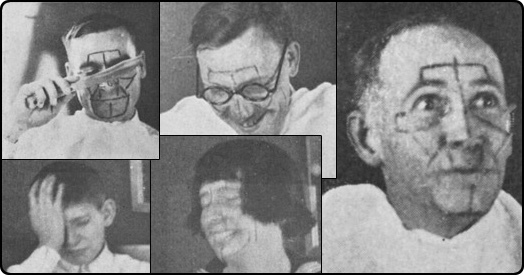 In 1924, Carney Landis, a graduate student in psychology at the University of Minnesota, designed an experiment to study whether emotions evoke characteristic facial expressions. For instance, is there one expression everyone uses to convey shock, and another commonly used to display disgust? Landis's experiment presented a stunning display of the willingness of people to obey the demands of experimenters, no matter how bizarre those demands might be. It anticipated the results of Milgram's obedience experiment by almost forty years. However, Landis never realized that the compliance of his subjects was far more interesting than their facial expressions. Landis remained single-mindedly focused on his initial research topic. However, he never was able to match up emotions and expressions. It turns out that people use a wide variety of expressions to convey the same emotion —  even an emotion such as disgust at having to decapitate a rat. Stubbins Ffirth was a Philadelphia doctor-in-training during the early nineteenth century. Having observed that yellow fever ran riot during the summer, but disappeared during the winter, he concluded that this must be because yellow fever, contrary to popular opinion, was not a contagious disease. Instead, he theorized it was caused by an excess of stimulants such as heat, food, and noise. But what good is a theory without proof? To get that proof, Ffirth designed a heroic self-experiment. He set out to demonstrate that no matter how much he exposed himself to yellow fever, he wouldn't catch it. He started by making small incisions on his arms and pouring "fresh black vomit" obtained from a yellow-fever patient into the cuts. He didn't get sick. 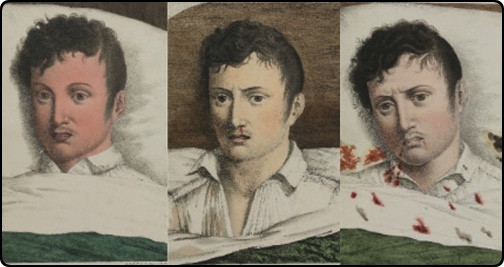 Ffirth rounded out his experiment by liberally smearing himself with other yellow-fever tainted fluids: blood, saliva, perspiration, and urine. Healthy as ever, he declared his theory proven. Unfortunately, he was wrong. Yellow fever is actually very contagious, but it requires direct transmission into the blood stream, usually by a mosquito, to cause infection. 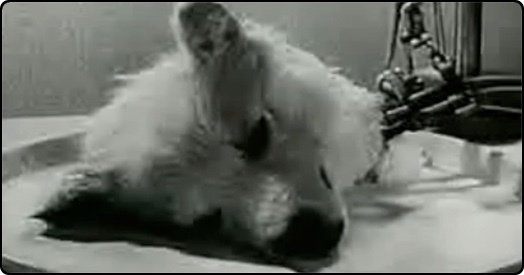 But considering all Ffirth did to infect himself, it is a bit of a miracle he remained alive. During the 1950s and early 1960s, hundreds of Cameron's patients at Montreal's Allan Memorial Clinic became his unwitting test subjects  — whether or not they actually had schizophrenia. 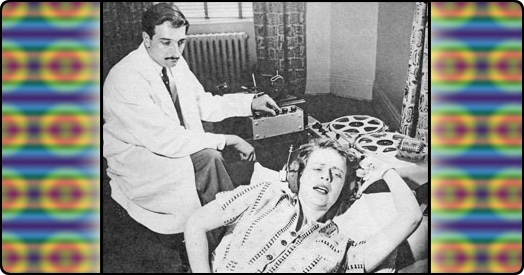 Some patients checked in complaining of problems as minor as menopause-related anxiety, only to find themselves sedated with barbiturates, strapped into a bed, and forced to listen for days on end to messages such as "People like you and need you. You have confidence in yourself."